Historian and political scientist. 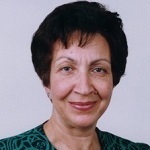 She is a research professor of the University Mohamed V Institute of African Studies (IAS) where she served as director from 2003 to 2008. She is an active member of the pan-African Council for the Development of Social Science Research in Africa (CODESRIA), Dakar, which she served as vice-president then president from 2009 to 2015. She has been visiting scholar at a number of African, European and US universities and authored numerous books and studies on themes of Islamic reform in North and West Africa, African women in the transmission of Islamic learning, trans-Saharan slavery and Africa in the world. She graduated from the Institut d’Etudes Politiques (IEP) in Paris and the University of London School of Oriental and African Studies (SOAS).